This new 4 star -adults only hotel (opened 2012) has already attracted an ever increasing legion of satisfied guests that return every year. 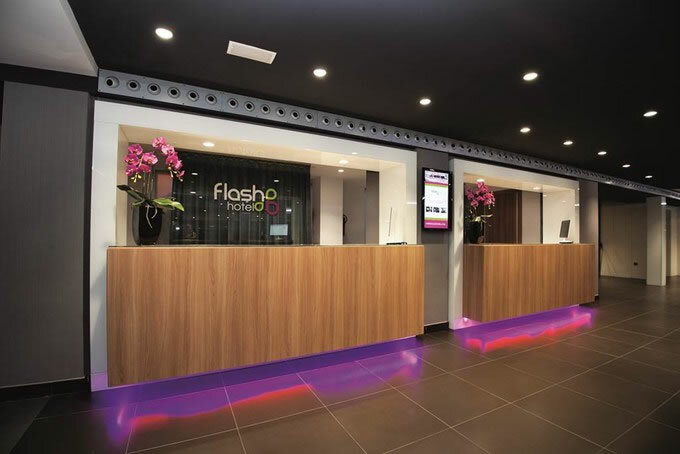 The Flash Hotel offers visitors cool and stylish accommodation and en enviable location right in the heart of Benidorm. The hotel combines modern furnishings, great facilities, a lively bar and a cosy pool area that all add up to memorable holidays. 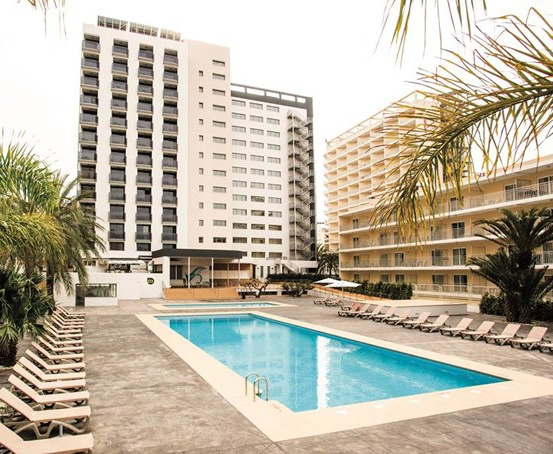 The hotel is only 300 metres from Benidorm's Levante Beach. Alicante airport is 60 km from the hotel. Minimum age 16. "our favourite adults only Benidorm hotel!" 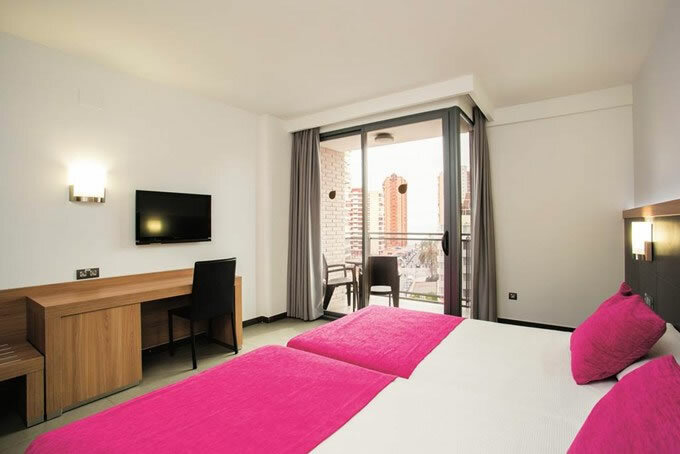 The hotel has 192 modern, comfortable guest rooms, all rooms have two king size beds with a balcony or terrace, an en-suite bathroom with bath/shower, air conditioning, an LED 32" TV with international channels, a telephone, internet (local charge), desk, a safety deposit box (local charge) and mini-bar. Please note: Guest rooms for either 3 or 4 guest sleeping are equipped with 2 King Size beds. 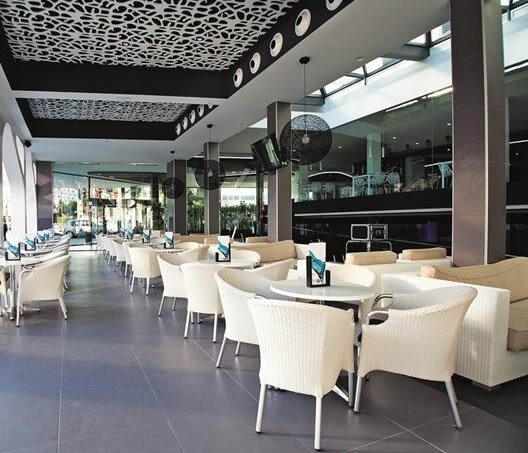 The Flash Hotel provides a main restaurant that features buffet meals with 'show cooking' and themed nights, a lounge bar and discotheque where you will be able to enjoy the music shows every night and the swimming pool bar with its wide selection of refreshing snacks and drinks. The hotel does operate a dress code in the restaurant: For breakfast and lunch at least vest and shorts must be worn. At dinner times shoes must be worn (not flip-flops or beach shoes) and gentlemen must wear long trousers. 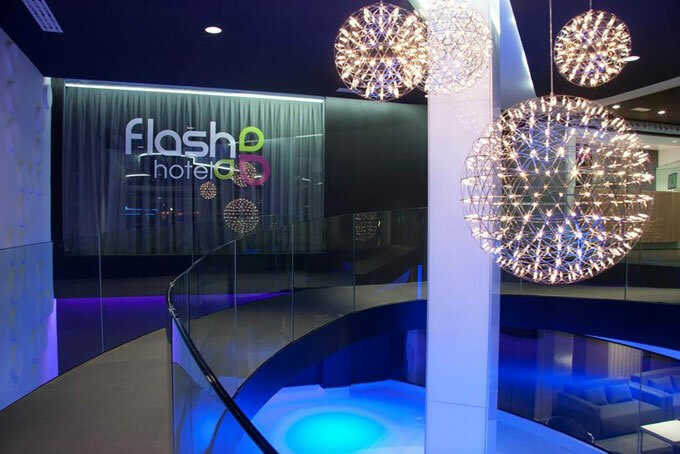 The Flash Hotel Benidorm has an outdoor swimming pool, furnished sun terrace with sun loungers and parasols, gardens, fitness room with massage zone and sauna. Guests at the hotel can also enjoy the facilities at the Rosamar Hotel located just 50 metres away these include spa, mini-golf and tennis court (at local extra charge). Music shows are available nightly in the lounge bar/ night club. The Hotel has a range of facilities: a 24 hour reception services, currency exchange, prepaid WIFI throughout the hotel, parking nearby at Rosamar (surcharge), private security, business centre/ meeting room, housekeeping, laundry service, luggage room and wake up service.